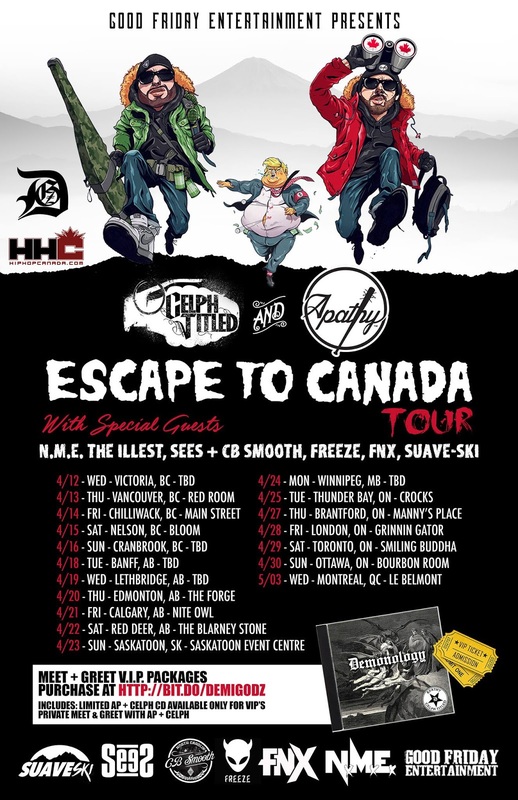 ESCAPE TO CANADA TOUR WITH APATHY, CELPH TITLED, SEES, CB SMOOTH, FNX AND MORE! I am beyond pleased to announce that I will be joining Apathy and Celph Titled on their Escape To Canada tour in April! Joining me is CB Smooth, FNX, NME The Illest, FreeZe, and SuaveSki. This is an opportunity I have been waiting a lifetime for and I am excited to do it alongside some of my favorite artists from Connecticut. Stay tuned for more information!! MILLIONZ OF BAR$ X BANGA ROYE "100 PERCENT"
OSCAR BLACK - OFFICIAL MUSIC VIDEO "WAIT"
YOUNG STEADY - NEW MUSIC VIDEO "EVER SINCE"
STREAM AND DOWNLOAD "DEEP SEES"